Guest posers included: Ronny Schweyher – USA – National American Collegiate Champion. Michael Bukowski – Show Opener. MARK & JULIE – Physique Posing Duo. The Overall Men’s Winner was DELROY GRANT. Ronny Schweyher – USA – National American Collegiate Champion. Michael Bukowski – Show Opener. MARK & JULIE – Physique Posing Duo. The Overall Men’s Winner was DELROY GRANT. The outstanding Junior winner was MARK PARSONS. Like the Titanic, this show is HUGE and full of new, young talent! 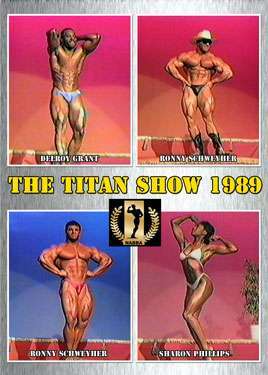 Winning or placing well in this show is usually a stepping stone to a great career in bodybuilding.